Guests at Riverside Sun in Vanderbijlpark have a choice of accommodation options. 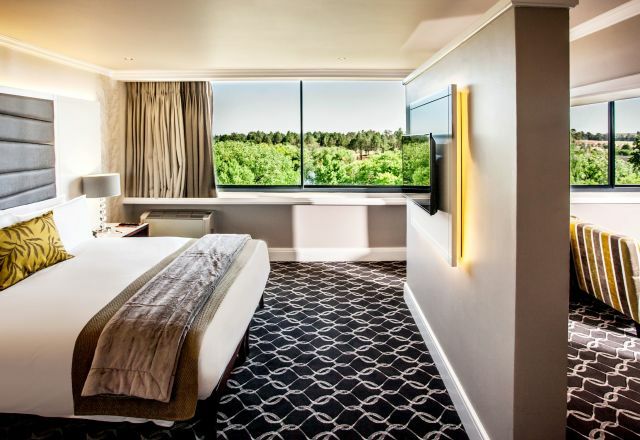 The hotel’s 169 elegant, well-appointed rooms, comprise of Standard rooms, Standard Premium rooms, Deluxe rooms, River facing Suites and a wheelchair accessible room. 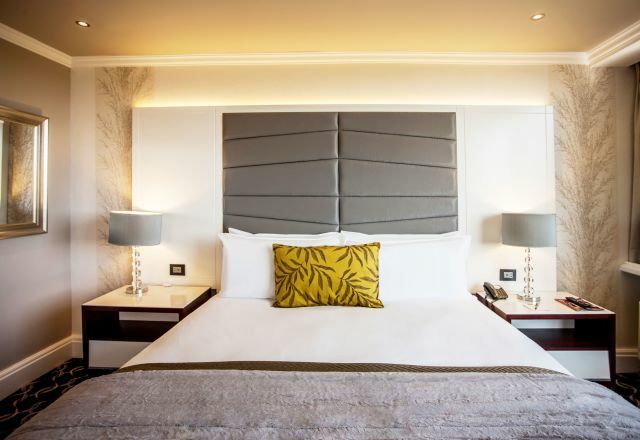 Each room has an en-suite bathroom, free WiFi, DStv, mini-bar, in-room tea and coffee facilities, an electronic safe, direct dial telephone and other small touches that add to your comfort. Room service is also available for the convenience of guests. Accommodation configurations include suites, king and double rooms, ensuring that your stay on the Vaal River meets your needs whether your visit is with family or on business. Make every day of your much-needed getaway count with the help of award-winning accommodation at the Riverside Sun hotel in Vanderbijlpark. 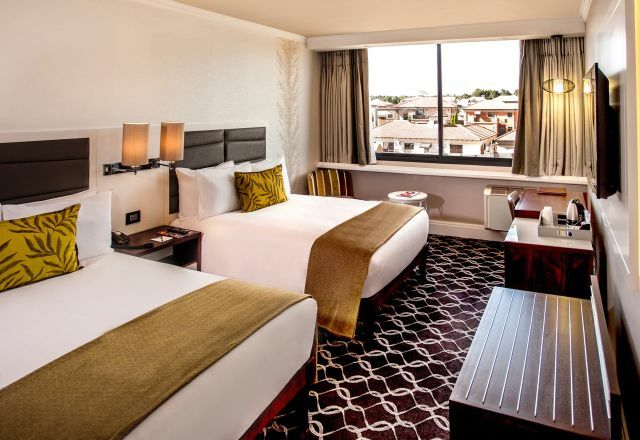 Rewards members enjoy 10% discount on accommodation. Our Deluxe accommodation offers views of the Vaal River, and have a king bed, as well as en-suite bathrooms. 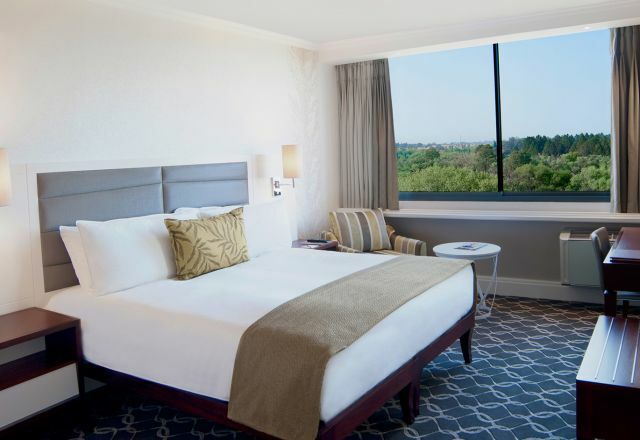 Family Rooms feature two double beds and generous space with river views. Featuring a king bed, separate living room area and en-suite bathroom. Suites are perfect for a romantic break.